Latin America is developing rapidly. As the authors see the region, a small group of countries has found a fast-forward button. In these countries change is exciting, occurring at such a rapid pace that a major breakthrough hi economic growth appears within grasp. After an almost decade-long period of recession and stagnation, many Latin American economies now have elected governments. With a few exceptions, most have also improved their socioeconomic conditions beyond meeting basic human needs. Yet few North Americans or Europeans are aware of these advances. How does Latin America fit into the changing world in the 1990s, and why should someone living in the United States, Europe, or developed parts of the Pacific Basin care? 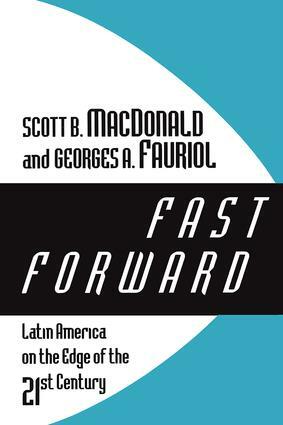 Fast Forward shows that Latin America's economic renaissance clearly has implications for a post-Cold War world order. Latin America is starting to make important contributions, particularly in the areas of international diplomacy, economics, and culture. Collectively, Latin Americans now demonstrate a coherent collective will about where they wish to take themselves. This does not mean that U.S. influence in the Americas will soon disappear, but that new challenges in the international system will force greater equity in Western Hemisphere relationships. While Latin America in the 1990s offers much to be excited about, the authors caution that there are dangers in being too enthusiastic. The always-present potential for top-down authoritarian approaches must temper enthusiasm about a better Latin American future. Despite this, the authors see a well-defined departure from past economic modes occurring and the potential for a higher level of development for some countries. This book is for economists, sociologists, and political scientists interested in economic and political development, and researchers interested in Latin America in particular.